In 1783, the settlements of Cross Creek and Campbellton were joined to form the town of Fayetteville, named in honor of the Marquis de Lafayette, a French military hero who significantly aided the American forces during the war. By naming our new youth ensemble Campbellton Youth Chorus, along with the implementation of the Cross Creek Chorale three years ago, the Cumberland Oratorio Singers (COS) has come full circle. Our three ensembles, in name and membership, truly represent our community! 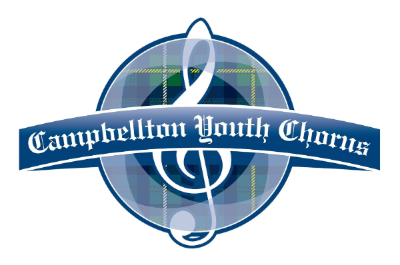 The Campbellton Youth Chorus (CYC) is for all Cumberland County and Sandhills region youth ages 9 to 14, regardless of school affiliation, ethnicity, socio-economic background, or religion. to the children of Cumberland County and the Sandhills region. appreciation of and participation in great choral music. Our Artistic Director, Donna Jo Mangus, a native of Cumberland County, is the choral director at Max Abbott Middle School and has a total of 26 years of experience teaching public school music and chorus. She holds a Bachelor of Arts in Music Education from Campbell University where she participated in the CU Chorale under the direction of Dr. Robert Piper and CU Singers with Dr. Paul Yoder. Mrs. Mangus holds National Board Certification in Early and Middle Childhood Music with a concentration in vocal music. Mrs. Mangus consistently has students selected for NCMEA Honors Chorus and was the guest conductor for the 2011 Cumberland All-County Elementary Chorus. She has been a frequent presenter at workshops for music educators in Cumberland County as well as a cooperating teacher for field experience and student teaching with Methodist University. Mrs. Mangus is a member of NAfME, NCMEA, ACDA and has been selected Teacher of the Year on the school level four times (W.T. Brown 1994-1995; Eastover-Central 2000-2001, 2008-2009, 2015-2016). She also serves as choir director at Bluff Presbyterian Church, sings with the Cumberland Oratorio Singers and the Cross Creek Chorale under the direction of Mr. Jason Britt, and also performs seasonally with the Coventry Carolers. She is married to Bret Mangus and they have two children, Jackson Brinkley and Jenna Jo Mangus. Our accompanist, Laurie Barnes is a native of Shreveport, Louisiana but has been a Fayetteville resident since 1989. She hold a Bachelor’s Degree in Church Music/Piano Performance from Louisiana College and obtained her Music Education certification from Fayetteville State University. Mrs. Barnes has been a music educator in Cumberland County for the past 23 years while also serving various churches as accompanist and music director for over 40 years. She has also accompanied or directed musical theatre productions for Cape Fear Regional Theatre and Gilbert Theatre multiple times.